Sale welcomed Herefordshire side Luctonians to Heywood road on Saturday afternoon. After a tentative and error strewn first quarter, Sale were the first to break the deadlock in the 23rd minute with a try by debutant James Conville. A break by Full-Back Liam McGovern, from a Luctonians clearance saw good handling by Tom Curry who got the ball to Conville in space for him to cross the line for what will surely be his first of many tries for Sale. Following a sustained period of pressure by Luctonians, they were eventually awarded a penalty just inside the Sale 22 for collapsing the scrum. Scrum Half Louis Silver stepped up a slotted a penalty in the 32nd minute. Shrotly after, Sale substitute Matthew Posthelwhaite, having only been on the field for a matter of minutes was yellow carded for deliberately killing the ball, the result was a penalty try to Luctonians Which was converted by Louis Silver. Meaning Luctonians went in to the break with 5-10 lead. With a man down Sale struggled for the beginning part of the second half, Luctonians capitalised on this, scoring a further penalty through Silver and then in the 49th minute scoring a text book catch and drive try from a line-out in the corner. With time quickly ticking down and Luctonians in a commanding 5-18 lead the game looked to be slipping away from Sale. However, the turning point proved to be in the 55th minute when Luctionions lost Stephen Psota to a yellow card under the totting up process. From the resulting penalty Sale kicked to the corner. In almost identical fashion to the earlier Luctonians effort. Oliver Longmore was able to find Tom Aisles at the back of the line for Sale to push over the line for the score in the 58th minute. This was converted by Liam McGovern. A break by try scorer Tom Aisles straight from the Luctonians kick-off forced a two on one situation, a smart pop off by Aisles to Jack Moorhouse, saw the centre cross the Line for his 99th try in Sale colours. This was converted by Liam McGovern. 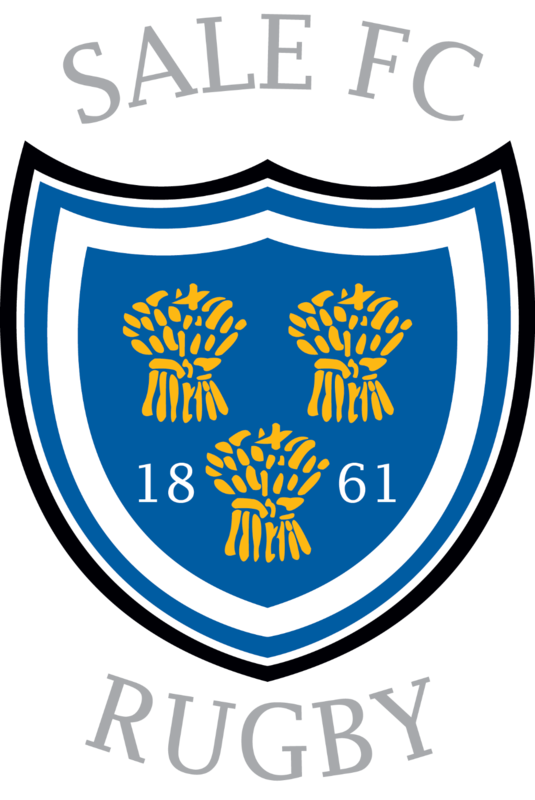 With 20 minutes remaining and Sale having scoring two tries in as many minutes, the Blue and Whites were now in the ascendancy with the score at 19 -18. What followed was a tense 15 minutes marked by two simple penalty misses by Luctionions kicker Silver. The game finally sprang back in to life with Sale scoring 2 tries in the final 3 minutes. Firstly in the 77th minute through man of the match Tom Aisles, is second of the day. After a break from the back of the line out by Aisles, he was tackled two metres short of the line before reaching out just getting the ball over the whitewash. This effort was followed up by Matthew Postlethwaite, making up for his earlier indiscretion, by going over for a try in the 78th minute following a kick charge down. Both tries were converted by Sale Skipper Liam McGovern for a final score of 31 – 18 to Sale. This Result leaves Sale 3rd In National 2 North 1 point behind league leaders Sedgley Park.